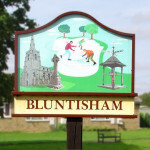 Click here for full details of this new workshop which is being held in Bluntisham Village Hall. The minutes from the finance meeting held on Wednesday 22nd June are now available to view. Click here for full details about an exciting new children’s YOGA course running in the summer holidays at Bluntisham Village Hall. Click here to access the new timetable. The bus stop displays will be changed before these changes come into operation. There is also a service which has been withdrawn, click here to familiarise yourself with this change. The next Finance Committee meeting is on Wednesday 22nd June starting at 8pm in the village hall. The minutes from the full council meeting held on Monday 6th June are now available to read. Please contact the clerk with any queries.